I was so happy with the training I received. Also once I purchased the initial training all future updates are included at no additional fee. A drone license is valid for two years. So I will need to take my revert test in June of this year. 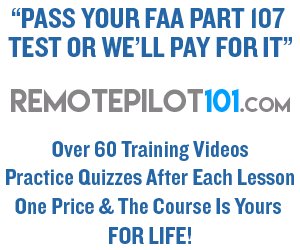 Remotepilot101 just came out with a refresher course, that’s included in my original investment.